That doesn’t mean that I haven’t been busy in the studio as well. I have two dolls that I have just completed this week. The first is simply named Lily. 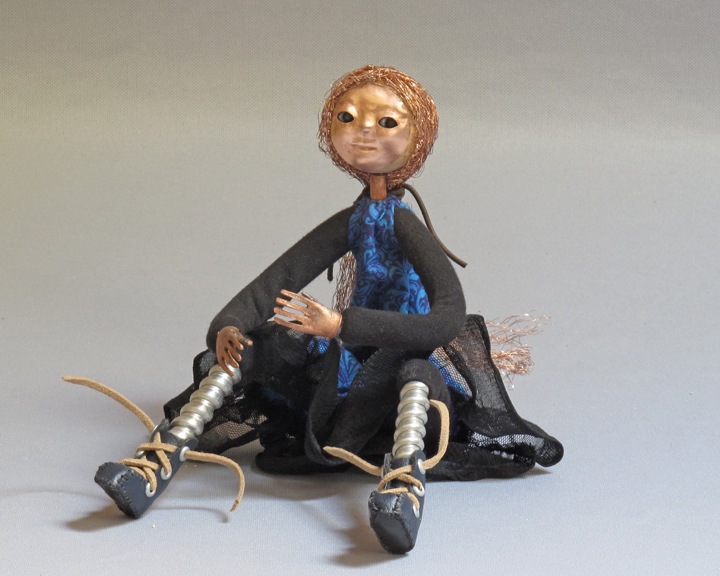 She is seated and appears to be thinking about something. She has an expression as if she is just about to tell you something very interesting. The second doll is Garden 1. 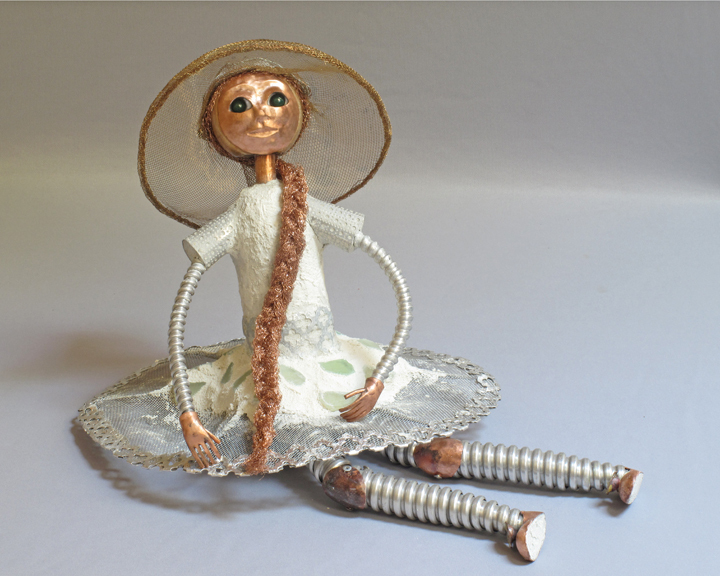 She is the first of a series of indoor or outdoor art doll sculptures. I cast her torso in concrete using a discarded beverage bottle for a form. I think she would look as great sitting within a flower bed, as on some indoor display space. Both will make their debut in Durham at the Down East Doll Show June 18-22. 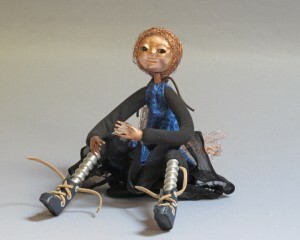 This entry was posted in Art Dolls, Art Shows and tagged art, art doll, copper, figure, figure sculpture, mixed media, one of a kind, sculpture, steampunk on May 26, 2014 by lynnadmin.